NSA Scotland chairman Jen Craig. She attributes her confidence and skills in debating to the training she received through the NSA’s Young Ambassadors programme in 2014, a scheme which delivered both personal and business development. She said: “That’s what unleashed me on the world. Until then I was shy and only argued about what was wrong about farm politics round the kitchen table at home. She is sceptical about the need for a taskforce to promote women in farming and says she would never want to believe she won a position because of gender equality guidelines. “In some ways it’s great to encourage women in farming but there are already plenty doing a tremendous job, so we need to be careful not to alienate the women who are already involved,” she said. 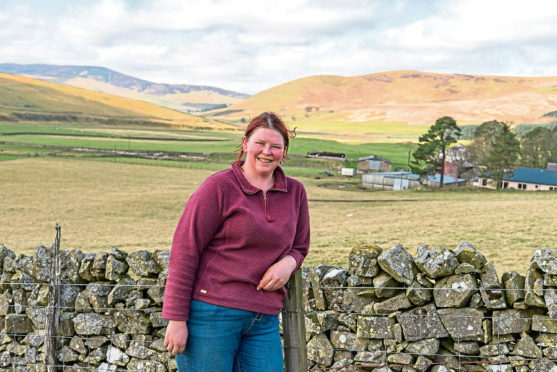 Jen runs the rolling green hills of the 1,750-acre Normangill Farm alongside her father, Andrew, who was politically active in the union 30 years ago, and went on to encourage his daughter to air her opinions at meetings. Jen gathering sheep at Normangill. She says making the decision to put herself forward for the NSA chairmanship was easy. “The current political upheaval means much of what’s going to be decided over the next months and years will impact more on my younger generation than some of older more experienced members of the industry and we need to be there at the forefront saying what it is we want,” she said. She is, however, taking on the NSA role at a time when reports of personality clashes and infighting in the organisation have been rife and she doesn’t deny there have been problems. “Yes, there have been issues in the committee, clashes of personalities and things taken the wrong way at times, so it will be a case of trying to manage that,” she said. “But that hasn’t stopped me wanting to be involved. After all, there’s no point in everyone sitting round a table nodding and agreeing on everything that’s said. Part of her strategy for the next two years is to raise the NSA’s profile and attract more farmers to join up. She said: “We have 850 members in NSA Scotland out of the country’s 18,000 registered sheep keepers, so I want to see a big increase in membership. “The farmers’ union has to represent all sectors but we can focus on sheep so are able to pick up on things NFUS doesn’t have the time or resources to follow up. Back on the farm that has been in the family since the 1930s, Jen has shared the management since doing an HND in agriculture. She says farming is something she knew she wanted to do from a young age and, despite her formidable strength in committees, she claims she likes her own company and is happy to work alone out on the hill with her flock of 1,100 Blackface ewes. 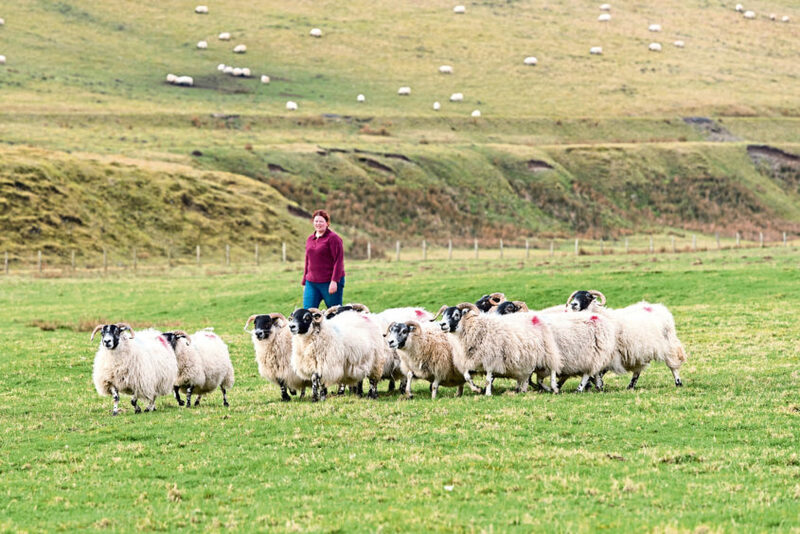 As she contemplates the start of Normangill’s outdoor lambing in just a week’s time, she reflects on the political and economic future for the national industry she now represents. “The threat of catastrophe hangs over all of us in this business. But there is scope to change the way we are running and organising things,” she said. “Experienced sheep farmers have tried new things before us but I think this younger generation is more business orientated.